In December 2017, the Museum of Mississippi History and the Mississippi Civil Rights Museum opened in celebration of the state’s bicentennial. The Two Mississippi Museums is a place where Mississippians tell their own stories of the state’s rich and complex history. These stories are told through the many resources from the collection of the Department of Archives and History. We present the history of our state as never before with eye-popping artifacts, photographs, videos, and interactive exhibits. The state has committed over $90 million for this state-of-the art 200,000 square-foot center. It serves as a portal to other cultural attractions across the state, preserves and stores over 22,000 artifacts, and benefits hundreds of thousands of people a year through museum visits, public programs, and educational outreach. While the majority of funding for the museums has been provided by the Mississippi Legislature, the Foundation for Mississippi History raised $17 million in private funds for exhibits and programs and is continuing to raise money for special programs, school visits, promotional initiatives, and new technology. You can support this private fundraising by making a one-time gift or becoming a Two Museums Member. We want you to be a partner in this historic project for our state and hope you will join us as Mississippi makes history. For tickets, hours of operation and other information, please click here. For the address and directions to the Two Mississippi Museums, please click here. The Museum of Mississippi History presents the entire sweep of the state’s history, from earliest times to the present, for all to see and learn. Visitors experience some of the newest interactive technology and exhibits developed by Design Minds. Visitors learn about the Native Americans and their lasting mark on the state’s history and landscape, the exploration and eventual settlement by Europeans, and the brutal ways in which African men and women were forcibly brought to Mississippi and enslaved. Visitors also learn about secession and the Civil War, Reconstruction, a new constitution, the great migration and flood, two world wars, the impact of technology on farming, the diversification and industrialization of the economy, civil and voting rights gained by women and blacks, the growth and the battle over public education, among many other topics. They revel in the sounds and words of the world’s finest musicians and authors and see the significant impact of Mississippians on culture. Thousands of Mississippians have donated artifacts, journals, family heirlooms, and other family treasures since 1902 when the Mississippi Department of Archives and History began collecting our state’s history. Visitors travel back in time as they view artifacts such as the 20-star American flag representing Mississippi’s admission into the Union, rare quilts by Mississippi artists, priceless letters, photographs, documents, an ornate necklace donated by descendants of a Federal soldier who stole it from a Jackson home during the Civil War, interviews by present day Choctaw leaders, and even a clock that stopped at the time Hurricane Katrina flooded a home on the Coast. For tickets, hours of operation and other information, please click here. 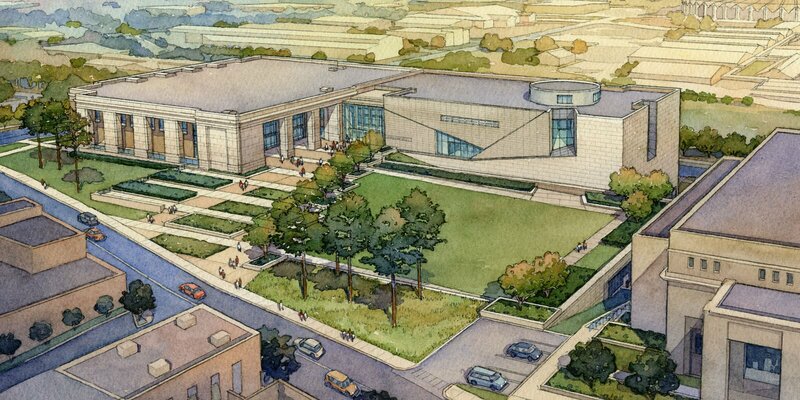 For directions to the Museum of Mississippi History, please click here. The Mississippi Civil Rights Museum focuses on the period 1945 to 1976 when Mississippi was ground zero for the Civil Rights Movement nationwide. Benefiting from feedback from statewide community meetings, an advisory scholars group, and the MCRM Advisory Commission, the firm Hilferty & Associates designed the exhibit plan for the nation’s first state-operated civil rights museum. 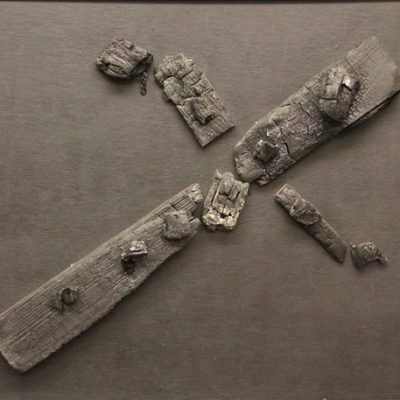 Visitors see a miniature chess set molded from bread by a Freedom Rider at Parchman prison and the front doors of the Bryant store in Money, Mississippi, that Emmett Till walked through in the summer of 1955. They hear the stories and music of activists jailed during the movement and reflect on the consequences African Americans faced when “crossing the line” in Jim Crow Mississippi. The story of the African American Mississippian’s struggle for freedom and justice is told through seven thematic galleries and mini theaters encircling a central gallery entitled “This Little Light of Mine.” This inspirational space carries the theme of the entire museum—that throughout Mississippi, ordinary people engaged in an extraordinary struggle to make real America’s promise of equal rights for all. A stunning sculpture and music honoring civil rights veterans is the focus of this dramatic light-filled central space. For tickets, hours of operation and other information, please click here. For directions to the Mississippi Civil Rights Museum, please click here. 2013.39.18 – Most galleries in the Museum of Mississippi History feature a How We Live exhibit that shows an everyday scene in the life of a Mississippi family during that time period. The Forging Ahead gallery features a 1980s living room. 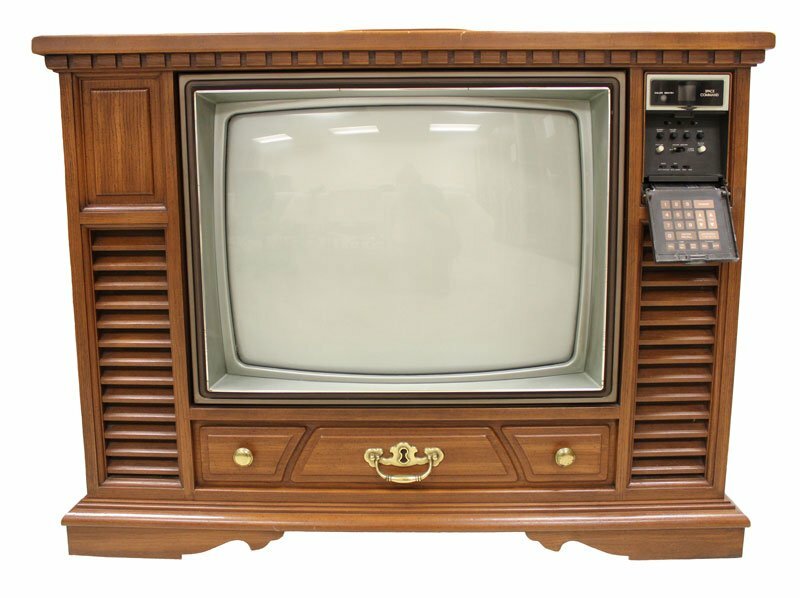 This How We Live exhibit features examples of two major innovations that changed the lives of Mississippians, an air conditioner and this console television set. This ca. 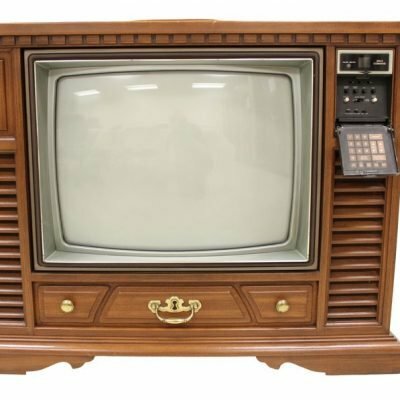 1980 TV belonged to the Harthcock family in Raymond. 2013.14.1 – Paul and Joe Canonici grew up in the predominantly African American community of Shaw. After Joe helped black residents register to vote, segregationists burned a cross outside his general store. 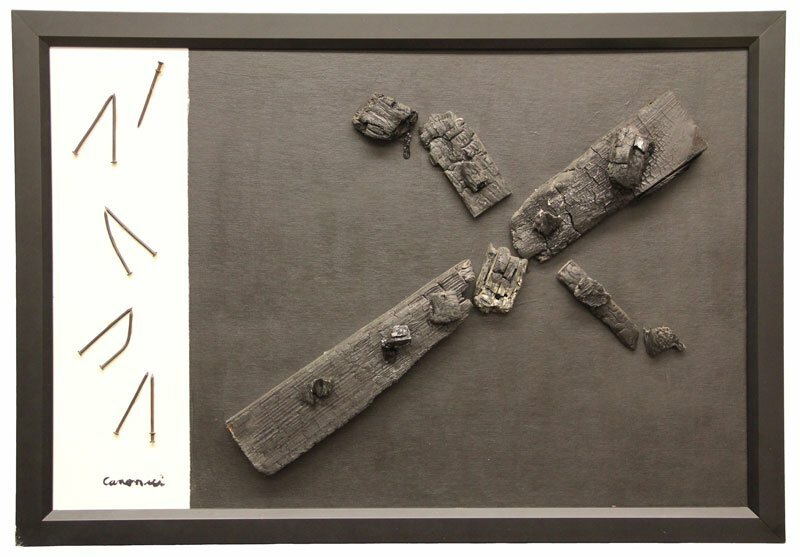 Paul created this sculpture from the charred remains. This artifact is on display in The Struggle for Equality exhibit in the Forging Ahead gallery in the Museum of Mississippi History. 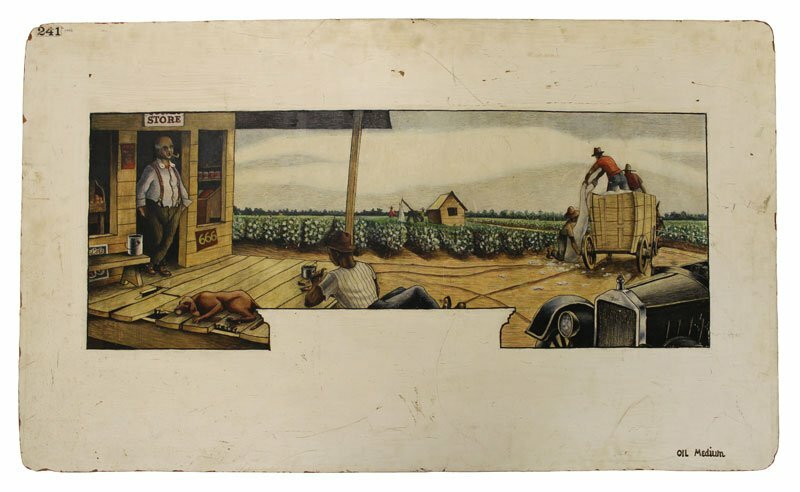 2013.50.2 – Byron Burford created this oil painting on Masonite entitled “Harvesting Cotton/ Bringing to Store” for submission in the New Deal Art program administered by U.S. Treasury Section of Painting and Sculpture in the 1940s. This program was created to solicit paintings and sculptures for newly designed federal buildings and post offices. 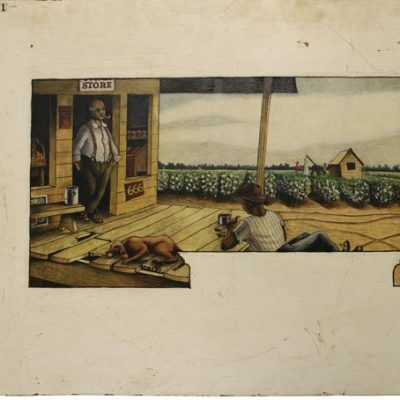 Burford, who was born in Jackson and grew up in Greenville, submitted this painting for a post office mural; however, it was not chosen. The scene depicts a cotton field during harvest beside a plantation store. This painting is displayed in the Mississippi Civil Rights Museum in an exhibit entitled Cotton Choppers. The artist’s son Kevin Burford donated the painting. 2013.52.1 – William Duffner, a Union soldier in the 24th Indiana Infantry, made this double-rocker chair, commemorating the Battle of Port Gibson, for his Confederate soldier friend, A.K. “Kell” Shaifer Jr., who lived in Port Gibson, Mississippi. The two men developed a friendship through correspondence after the Civil War. 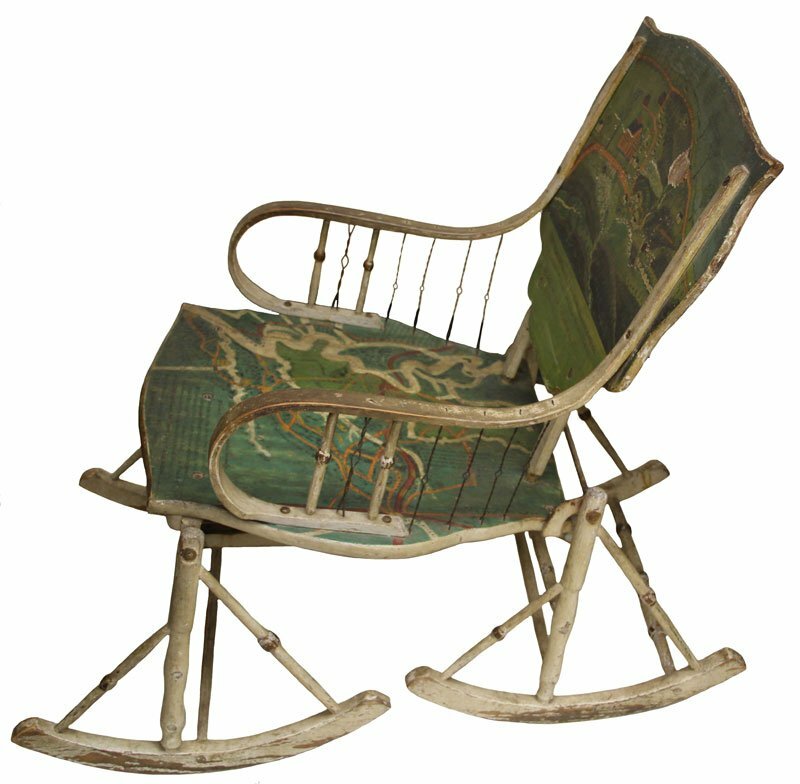 This rocking chair was handed down through several generations of the Shaifer family and was donated by Libby Shaifer Hollingsworth. It is displayed in the Fast Track of the Museum of Mississippi History. Visitors who only have a limited amount of time to visit the museum are able to walk through the Fast Track to get a quick overview of Mississippi History and see a selection of important artifacts such as this chair. 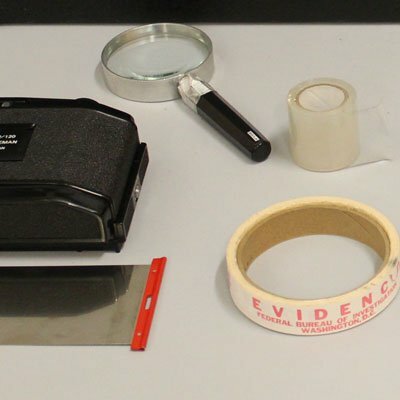 2014.4.1 – The Jackson Field Office of the Federal Bureau of Investigation used fingerprint cameras and kits like this one in investigations throughout the state. 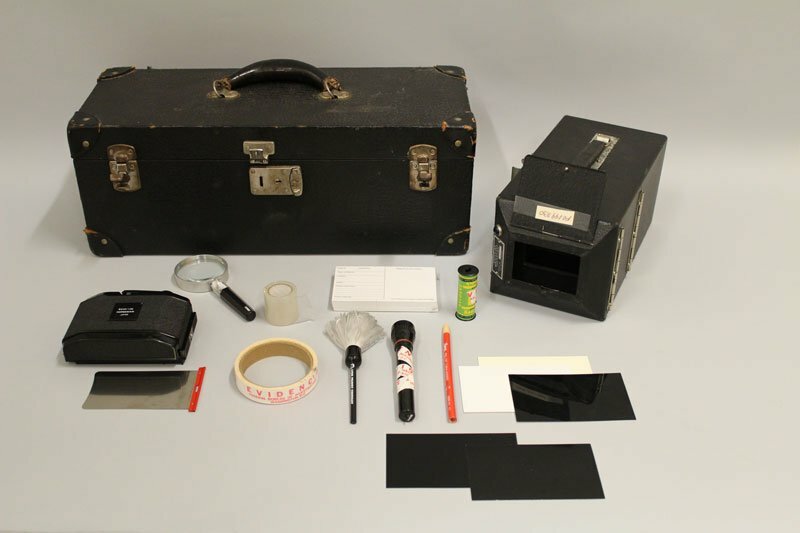 After closing the office in the 1940s, the FBI reopened it in July 1964, during the height of Freedom Summer to handle investigations into civil rights cases. The FBI was also heavily involved in the investigation into the disappearance and murder of the three civil rights workers in Philadelphia, James Chaney, Andrew Goodman, and Michael Schwerner. This kit is displayed in the Mississippi Civil Rights Museum in the exhibit discussing the murders of these men. It was donated by the FBI. 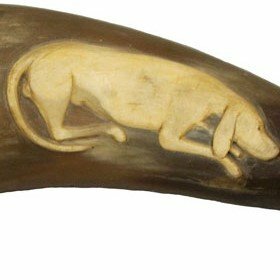 2014.43.6 – This carved hunting horn was made by the father of Minerva Sykes of Lowndes County, Mississippi, who was possibly born enslaved. The horn was donated by Rufus Ward and is on display in the Museum of Mississippi History. 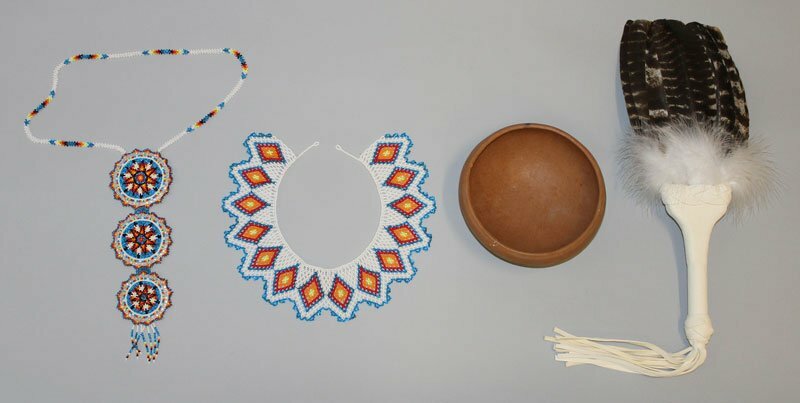 2014.29.1ab-3 – This beaded necklace and collar, cooking pot, and ceremonial fan are all modern pieces made by artisans from the Choctaw Nation of Oklahoma. The jewelry pieces are modern based on tradition styles. The pottery cooking pot, or Chahta Shutushi, is a miniature of the style that Choctaw people made 800 years ago in the Southeast. The fan is a modern artifact made to resemble fans used by Choctaw ancestors. 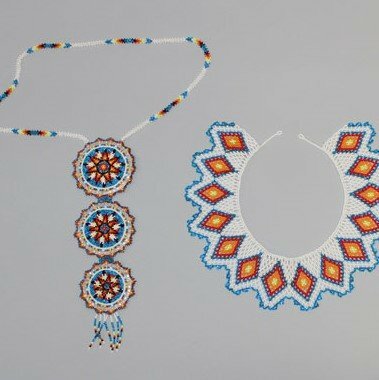 These items are displayed in the Enduring Cultures gallery of the Museum of Mississippi History, which discusses the culture of the native population of Mississippi through the present day. 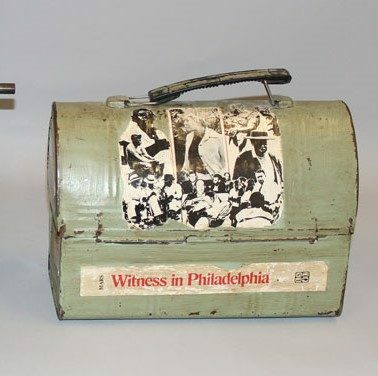 2013.17.7,10 – Florence Mars used this typewriter while writing the book Witness in Philadelphia about the murders of three civil rights workers, James Chaney, Andrew Goodman, and Michael Schwerner, in her hometown of Philadelphia in 1964. An outspoken critic of the murders and other violence perpetrated against African Americans and civil rights workers, Mars became a target of the KKK as well. Mars used this lunchbox in the promotion of the book. Donated by her relative, William Montgomery Mars, both the typewriter and lunchbox are displayed in the Mississippi Civil Rights Museum. At Paypal please check the box to share your address with us.